Established since 2011, this year The ONE Legian will be turning to years 8. During the up and down journey, many things have been passed, one of them is the change of brand to the ranks of Managers, Supervisors and several hotel staff who came and had left. 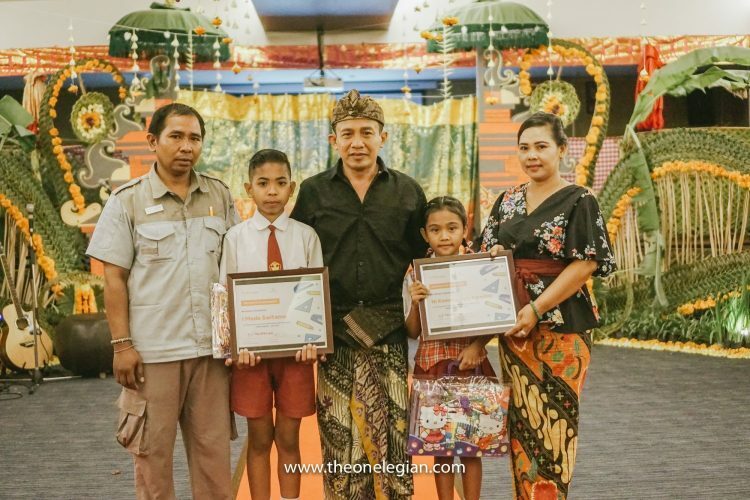 The ONE Legian chooses a unique way to share happiness with employees through the provision of scholarships for staff’s children. 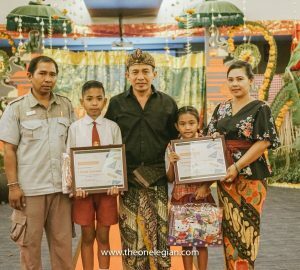 The ONE Legian proudly gives these awards to the staff’s children who have extraordinary achievement in the academic field from elementary to high school levels. The General Manager of The ONE Legian – Eka Pertama said that the appreciation was a form of concern for the big family of The ONE Legian. “This program is a breakthrough for The ONE Legian in 2019. We want to bring more meaningful change not only to guests or business but also to our own team. This is a form of our appreciation to the dedicated staff for The ONE Legian up to today. Hopefully this can add to the enthusiasm and motivation of children to continue to learn and improve their subsequent achievements, “explained Eka Pertama. Eka Pertama explicate that this scholarship will be done periodically as a form of support for children to be able to craft achievements on a sustainable basis. It is also possible that there will be an appreciation for those who excel in the fields of sports and art. Althought it’s the first time done, Eka Pertama wanted to further develop the scholarship program into a foster child program as a social activity involving external parties and aimed for those who are less fortunate to have a better education.